Explore the best of American history while taking a step into its future on this combo tour at the Smithsonian. On this 5 to 5.5 hour private tour, you’ll visit the National Air and Space Museum followed by a trip to the National Museum of American History. 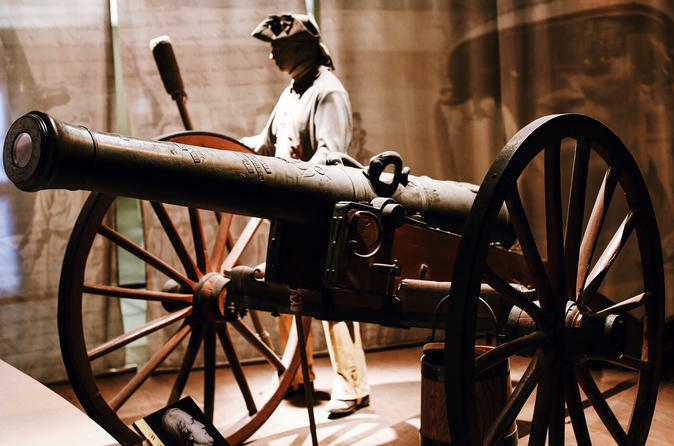 Our passionate guides will take you to some of the most captivating pieces displayed in these two world-class museums to explore the United States and its rich past, followed by a look to the future. Take one giant leap into the unique collection at the National Air and Space Museum, covering the United States’ world famous space program. This museum doesn’t just cover extraterrestrial exploration. It inntroduces everything from the early history of flight to the Space Race and moon landings. Learn what it's like to be an astronaut today with one of our expert guides – there’s even freeze dried ice cream in the gift shop to get the full experience. You’ll see the first plane to take flight as well as the Spirit of St. Louis. Check out objects that have been to the moon and back like Buzz Aldrin’s space suit, moon boots, the Apollo 11 Command Module, and real moon rocks. Discover the history of the world’s foremost space program and the technology and innovation that made it possible to land a man on the moon. After a break for lunch, take a trip down memory lane. From a ragtag group of colonists to one of the world’s super powers, the United States has made quite a name for itself. The National Museum of American History traces this path through a unique collection of objects including the actual banner that inspired the country’s national anthem. Learn about the first president, George Washington, while viewing his sword and discover how Hollywood has helped shape this country when you check out Dorothy’s ruby red slippers. Visit the extensive collection of first ladies’ gowns to the Greensboro lunch counter that embodies the Civil Rights Movement. This tour will help you to understand the exciting and oftentimes controversial history behind this vast country.